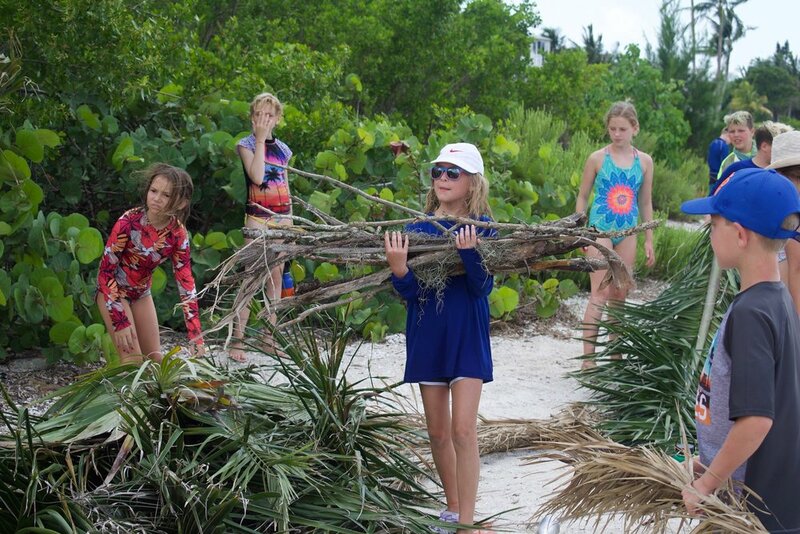 Calusa Week, a week in celebration of the Native Americans who were the earliest known inhabitants of Florida’s southwest coast, is a favorite among Sanibel Sea School campers each summer. The Calusa were fierce, strong seafarers and their history can teach us many things about how to coexist with the sea. Participants explored their culture from various angles, retracing their footsteps to become young ocean warriors. The Calusa used the ocean for subsistence, constructing nets out of natural fibers to catch fish, and transforming shells and other materials from the earth into weapons, tools and supplies. Campers tried weaving their own net cord from coconut husk and palm fibers, used seine nets to catch fish, and learned how to craft tools, palm leaf plates, and clay pottery. They also practiced Calusa traditions like canoeing, shelter building, and trading. The week ended with the beloved Totem Game, where each group gathers items from nature to symbolize fishing, shelter, clothing and cooking, then builds a symbolic totem to be judged by the group leaders. As usual, there was also plenty of time for surfing, macramé tying, and hanging out with camp friends. 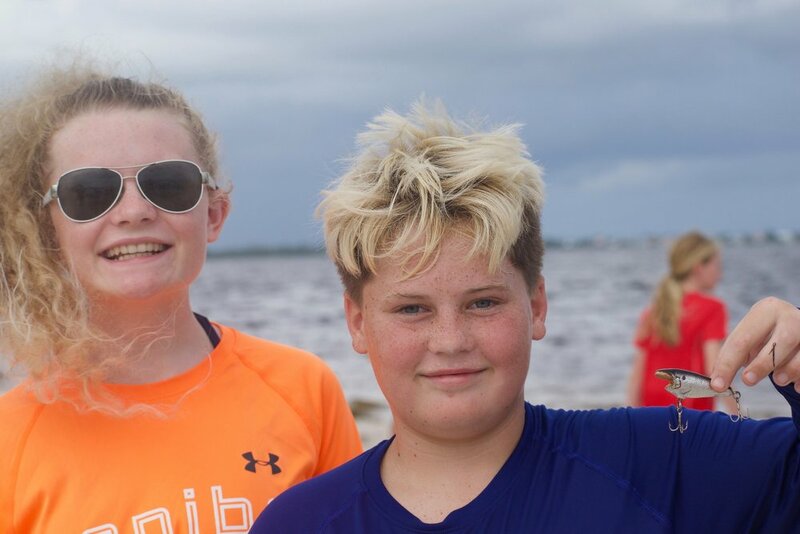 Sanibel Sea School is a 501c3 nonprofit whose mission is to improve the ocean’s future, one person at a time. To learn more, visit sanibelseaschool.org.